Bluebelle Garden Centre has been established for over 50 years. The centre specialises in all garden plants, bedding plants and hanging baskets. 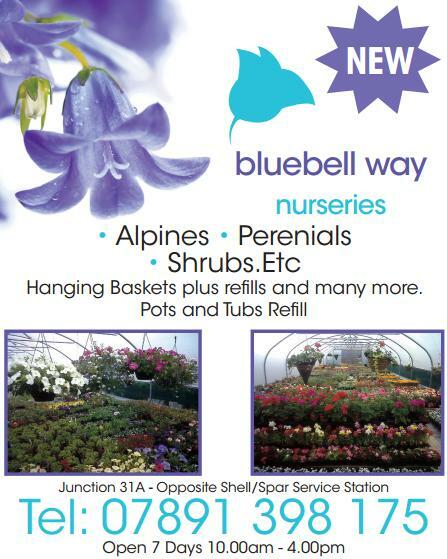 Bluebell Garden Centre is open 7 days a week, Monday to Sunday 10am-4.30pm.